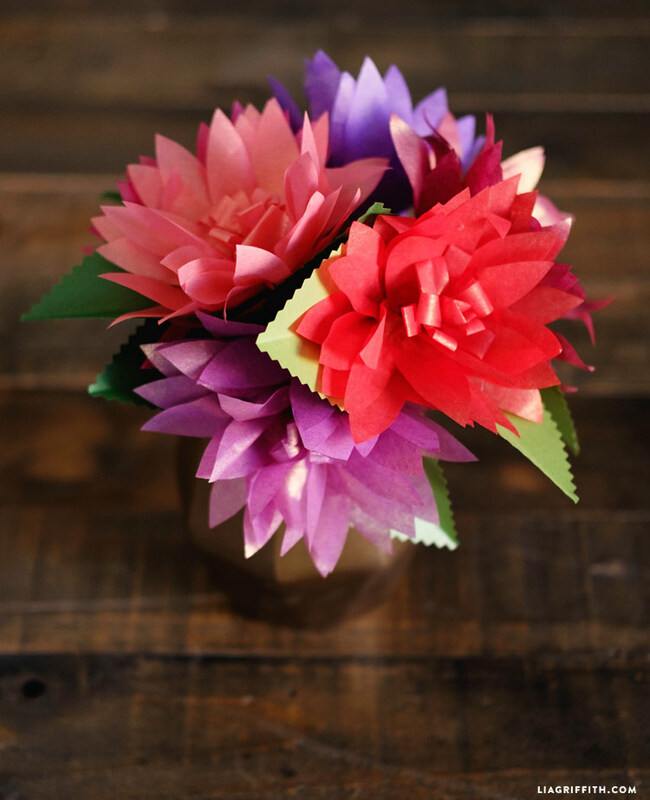 When we first released the extra fine crepe line, I loved using it as an opportunity to create tons of new crepe paper flower designs. 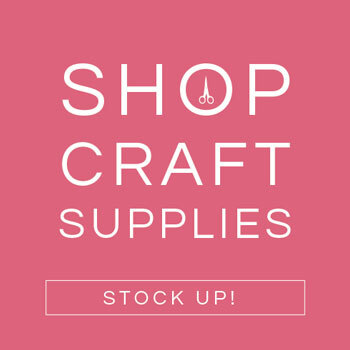 Now that we have our new line of tissue paper packs, it is time to create lots of new tissue projects! Each of the new tissue paper packs comes with a special tissue craft template that corresponds with the color palette. Our Berry Delight tissue pack embraces delicious purple and pink jewel tones that inspired me to design these new tissue paper dahlias. 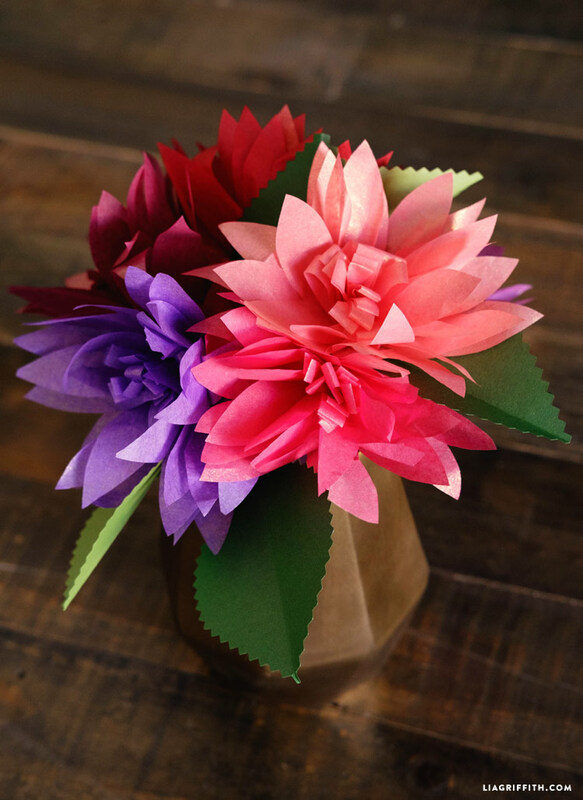 Find the materials for these dahlias in the Shop this Project section below. The tissue paper pack will include the template, but I have added the download for it in this post just in case you misplace it! I also recommend scanning the template into your computer so that you have it for future reference. 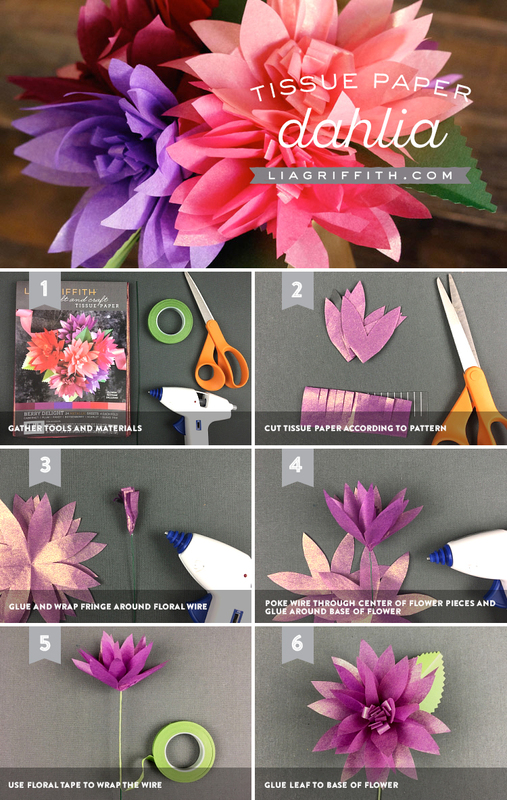 Use the template to cut the petals for your tissue paper dahlias. 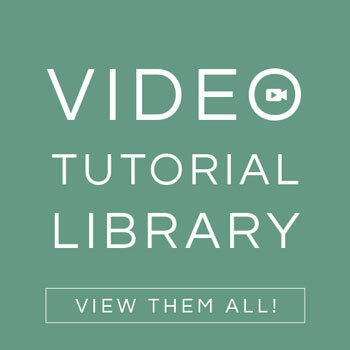 Once your tissue is trimmed, follow the step-by-step photo tutorial. 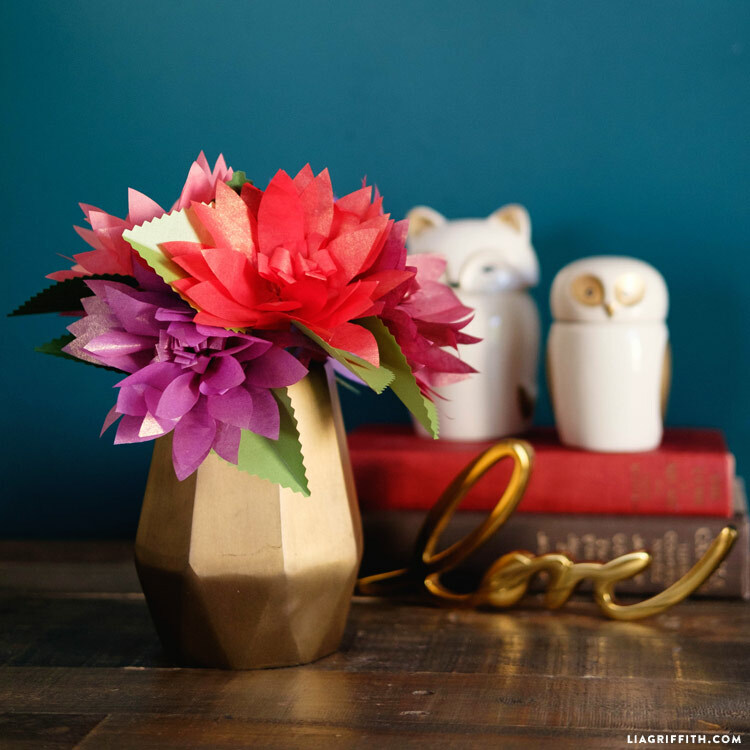 You can make monochromatic blooms, or you can try mixing some of the colors to make ombre blooms. You will also need floral tape (in Shop this Project) and 18 gauge floral wire to complete the dahlias. After finishing our dahlias, we decided to add some metallic paper leaves using Botanic and Fairway metallic paper for some extra texture. 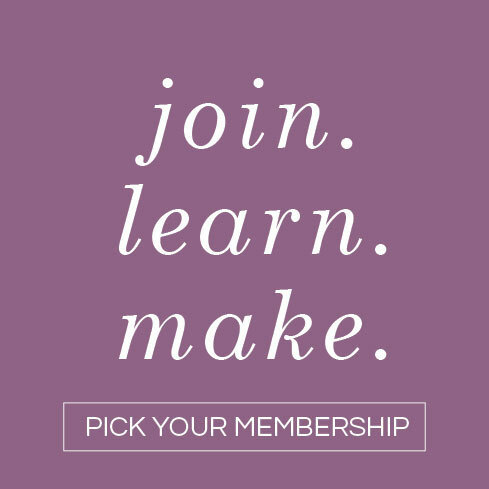 Hi, I am unable to view the the instructions or the pattern. I just see a black screen. Is there another way to view them? Sorry for the trouble! You might want to try a different browser, it sounds like the PDFs aren’t downloading all the way.